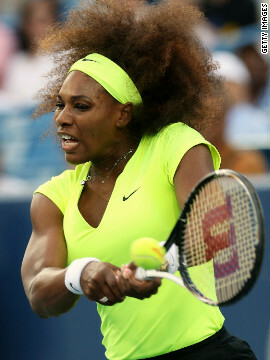 CNN titles its recent article on celebrity tennis star Serena Williams, "Serena Williams battles 'super crazy' hair in Cincinnati Win." These days the media seems to be fascinated with African American hair. Last week, Gabby Douglas' hair was the main topic of discussion after she won a gold metal in the Olympics. 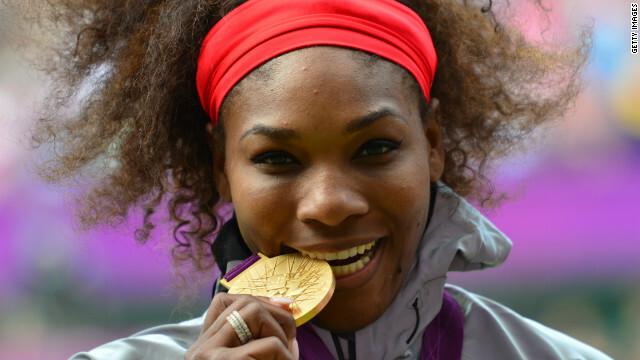 This week Serena Williams, another gold medalist, is the topic of discussion for her "Super Crazy" hair. "I need to calm it down. It's really big. It was a little windy, so it was getting in my face, and I put it in this '80s scrunchie I happened to have. The look isn't new. I've just let it go super natural and super crazy and not care. It's fun." Are we tired of hearing hair related stories in the news? I am sick of the hair related news, too. Especially when someone wearing a weave (according to many media reports and obvious in pictures), which I have no problem with, is complaining about dealing with it. Wear a shorter weave... Also the picture above with her pulling it out wide promotes media attention. The media is always looking for non-important "fluff" to write about, Ms. Williams made it easy for them - she said it was super crazy. She also sad she let it go natural, what's natural about a weave? There is no comparison to the ridiculous attention Miss Gabby Douglas received. 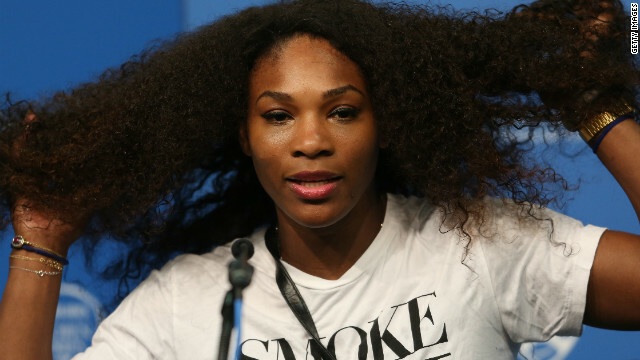 Williams was feeding the media, Douglas is a young athlete more concerned with performance than how her hair looks or is perceived by narrow-minded idiots. 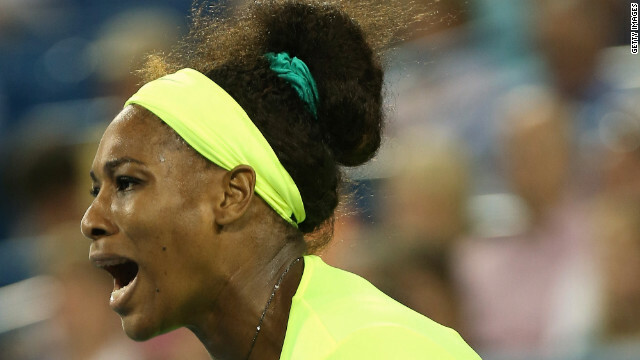 Williams has always been about how she looks - fashion, etc. It's part of her marketing package. She is intelligent and knows she won't be able to play tennis for the rest of her life, she is building her "brand". In my opinion, she's piggybacking on the attention Douglas received for her hair. The only important thing about hair is health - I'd like to see articles about all the harmful chemicals used in the cosmetics industry instead of this fodder. Thanks for your comment. I was laughing out loud when I read that first part about William's weave too funny. I agree with you 100%.